Every day and everywhere we work, we look to make a positive contribution to society by taking care of the environment, and in the process giving back to the communities and the spaces that we all share. We work tirelessly with schools, community groups, residents and stakeholders to ensure that we involve them in everything we do. We have a tried and tested company training programme which involves us training the youth of today to ensure that they are equipped to take care of our tomorrow. We have a recognised Apprentice scheme which operates to Horticulture Level 2. We are always looking to provide volunteering opportunities for our staff and we encourage them to take part in regular fund- raising and team-building activities. We encourage all our staff to take time out of their everyday work related activities in order to interact with and reach out to as many vulnerable people as possible. We also encourage our staff to take part in a variety of annual charity events, including Charity Cycle rides, Coffee Mornings and other fun and innovative fundraising events that they are often at the forefront of creating of their own volition. What all of this very clearly shows is that all of our many services are delivered at the core of local, real, vibrant communities. And we take great pride in the fact that through our work, we can enhance your living experience by simply taking care of everything Out There. 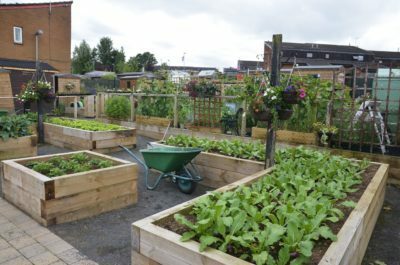 A Community Allotment scheme which has bloomed into a Social Enterprise. 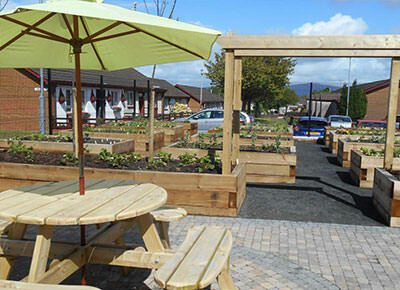 This new community garden created a communal area for residents to avail of. 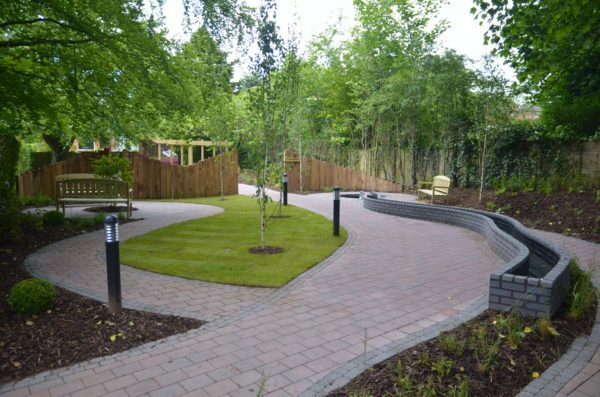 This site was transformed from an unused area of the estate into a facility that local residents could use to sit and relax. 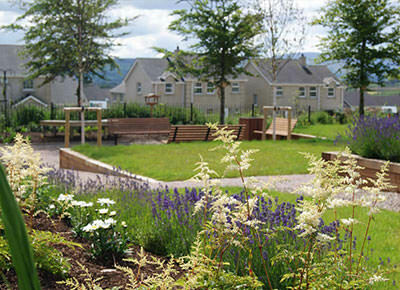 We were engaged our client to work with community groups in the Caw estate to create a growing space that could be used by local residents. 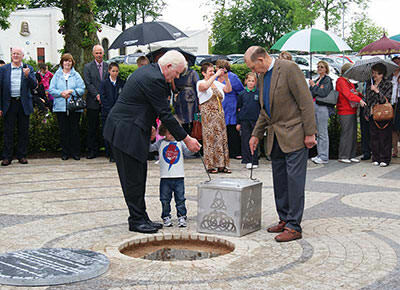 A plot of ground was identified close to the Community Centre.